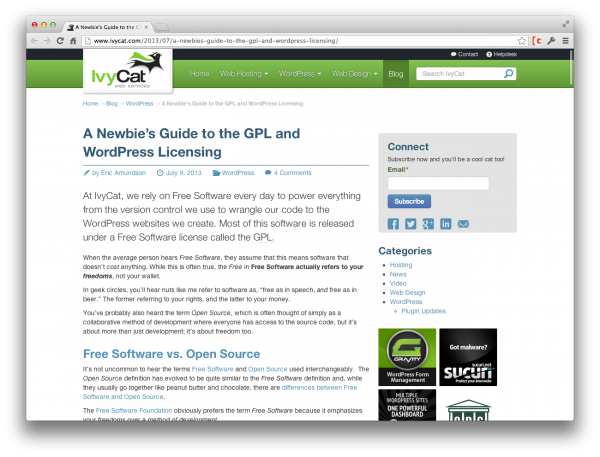 For those that are new to WordPress it can seem quite daunting when you begin to think about licensing, open source “rules,” and even etiquette that you may or may not want to follow. And in many ways you can get quickly confused as to what is merely opinion and what is factual and pragmatic. We’ve covered a lot in regards to the GPL historically so it might be worth going through the archives a bit to see what you can find. Their “Newbie’s Guide” is helpful because it provides a great overview as well as links to resources where you can find even more information. Thanks to Eric for pointing it out to us and sharing it with the community here!